Sol 2217, November 1, 2018. The Mars Hand Lens Imager (MAHLI) has taken a look at Grange. 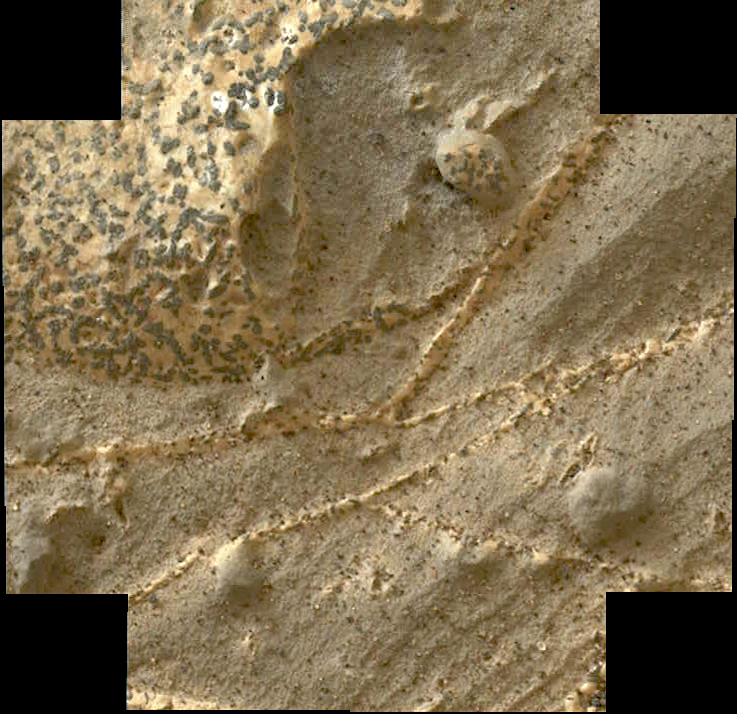 At right is a six-frame composite closeup. The image enlarges when clicked. Sol 2217 raw images (from all cameras). This entry was posted in Reports and tagged Aeolis Mons, Curiosity, Gale Crater, Grange, Mars Science Laboratory, Mount Sharp, MSL, Murray Formation, NASA, Vera Rubin Ridge. Bookmark the permalink.